Avid introduced a new EQ curve display in the recent release of Pro Tools 2018.1. Pro Tools 2018 also got the long-awaited track preset feature which enables users to quickly save and recall many wonderful Pro Tools things such as plug-in chains. The track preset feature can be accessed in either the Mix or Edit window, the EQ curve display though can only be viewed within the mix window. The EQ curve display is a simple feature that shows us EQ plug-in curves without needing to open the plug-in. Currently, the EQ curve display feature does not work with all EQ plug-ins, this is something that I'm sure many third party EQ plug-in developers will get around to supporting in the near future. As cool as this new EQ curve display is it sadly doesn't impress me that much. If anything it makes me feel a bit unenthusiastic about the Pro Tools Mix Window as it hasn't had any major changes over the last few years of updates, which I think is a bit of a shame. The Pro Tools Mix Window is a powerful tool loved my many Pro Tools users because it is simple but I do think it is missing a trick or two that could really help us Pro Tools users work more efficiently. 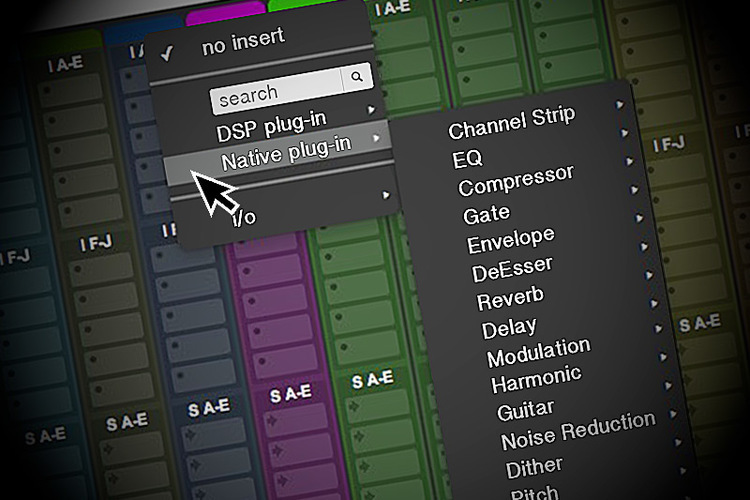 Back in June 2016, I posted an article about an idea of Pro Tools having a customisable plug-in menu - Pro Tools Plug-in Menu - Feature Request. 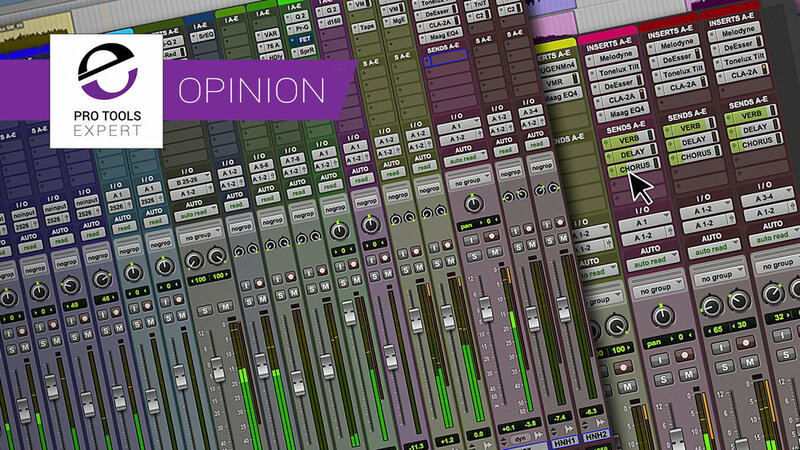 This article got a lot of engagement from the Pro Tools Expert Community. It seemed that a simple Photoshop mockup of a Pro Tools mix window was enough to capture the imagination of many Pro Tools Users. Well, here we are again with a couple more Pro Tools mix window feature requests along with some fresh Photoshop mockups to help illustrate the ideas. We can adjust the height of each track independently in the Pro Tools Edit Window - Why then can't we do a similar thing in the mix window... adjust the width view of certain tracks? Under "View" we can change the global width of all the tracks in the Mix Window to either standard (Wide) or Narrow. Narrow is useful when working on large sessions as this enables us to see more tracks within a display. The main drawback to Narrow view is that plug-ins and track names get heavily abbreviated making names difficult to read quickly. I would like to be able to decide what tracks are wide and which are narrow in the mix window without all tracks being either globally wide or narrow. When I work on large sessions a fair amount of my mixing moves happen on stereo auxiliary sub-mixes. Example: A typical mix window environment that I would like to see in the future would enable me to have my backing vocal tracks set to narrow view with the backing vocals sub mix track set to wide. If the previous feature request didn't capture your imagination then how about this one? Typically we adjust send levels in Pro Tools by mouse clicking on a bus, this loads a slim floating fader outside of the mix window. We then need to click and drag this floating fader to set the send volume level. Wouldn't it be great if we didn't need to open up the floating fader? Instead, we adjust the send level over the instance of the bus as though it was a plug-in slider? This would save countless mouse clicks within a mix. 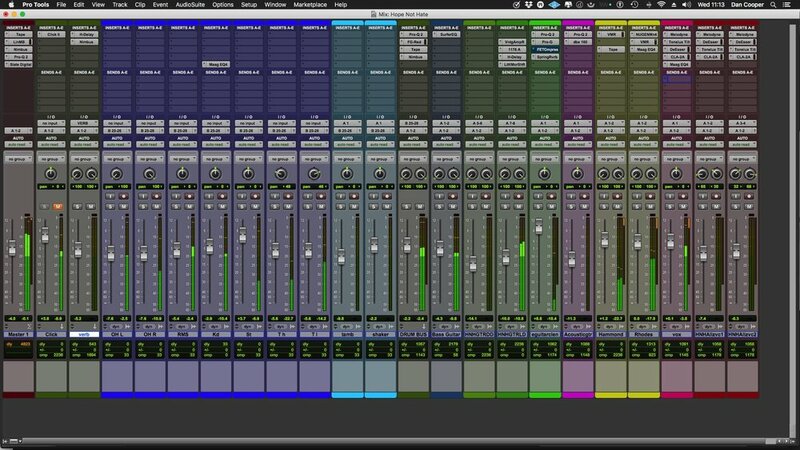 Let us know what you think about these Pro Tools Mix Window feature requests. Do you think the Pro Tools Mix Window needs some new features in upcoming Pro Tools 2018 updates? Avid Offer $1400 Worth Of Free Software With Pro Tools - Have You Downloaded it Yet?